The Level Wall Shelf designed by Spain designer Roger Moliné is a shelf which quite literally changes shape depending on what you put on it! When you put books in a section, that section grows by increasing the volume available and enabling storage of more books. “Level, is born from a clear reference in the world of hydraulic engineering; communicating vessels. These are a series of vessels containing a homogeneous liquid. Thanks to the communication between vessels, the fluid moves until reaching an equilibrium level, irrespective of the inclination or orientation of the glasses. 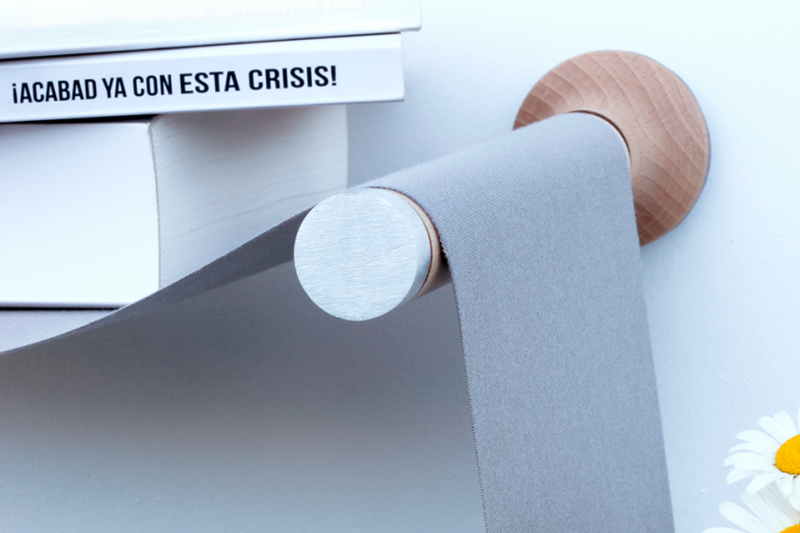 Through this idea of ​​relationship between categories grew the idea of ​​a bookshelf with a similar principle. 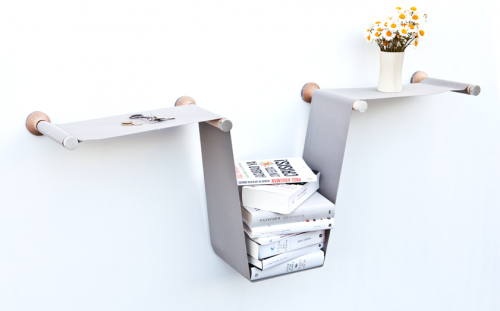 The shelf is divided in two parts enabling communication between these. So that the product becomes a mutable object. This adapts and changes its shape depending on the content in it. 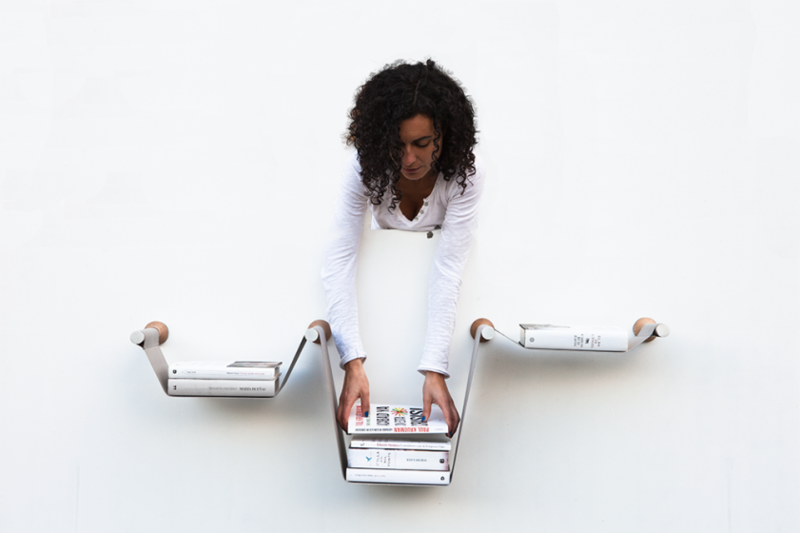 By putting books in a category, that becomes bigger allowing to store more books. Through this function, the product allows us to use different sections as comparators. We know, for example, who reads more books. Or what kind of books are the ones that you read more as it always displays the amount of books in each”. 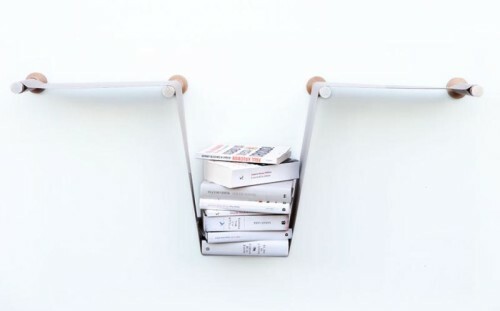 I do like it but I think it’s more wall art than an practical shelf. What do you think?